Photo: Botevgrad municipality / All rights reserved. 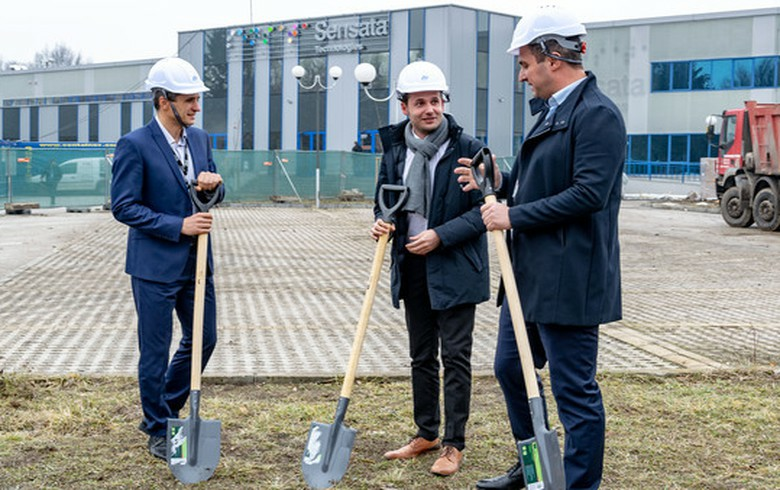 SOFIA (Bulgaria), February 11 (SeeNews) - Sensor systems manufacturer Sensata Technologies Bulgaria, a unit of Belgium-based Sensor-Nite, broke ground for a $27 million (23.9 million euro) new production and storage facility in the city of Botevgrad, the Botevgrad municipal government said. The new building will have a total built-up area of 4,300 sq m, the city authorities said in a statement in late January. Some 300 people will be employed in the new plant. Sensata Technologies Bulgaria is a wholly-owned unit of Sensor-Nite, which in turn is part of U.S.-based Sensata Technologies, which manufactures sensing, electrical protection, control and power management solutions for the automotive and aviation industries. Sensata Technologies Bulgaria has two production bases - in Botevgrad and Plovdiv, and a testing laboratory in Sofia.